A key role leaders play is helping their team perform better together. 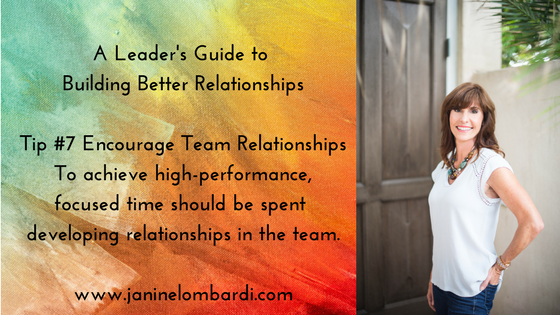 To achieve levels of high-performance, you need to dedicate time to developing the relationships within the team. 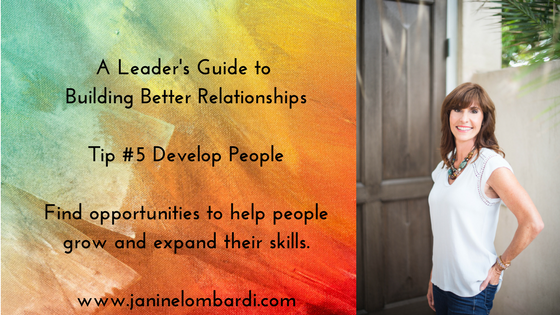 When relationships grow stronger so does trust, collaboration and accountability. 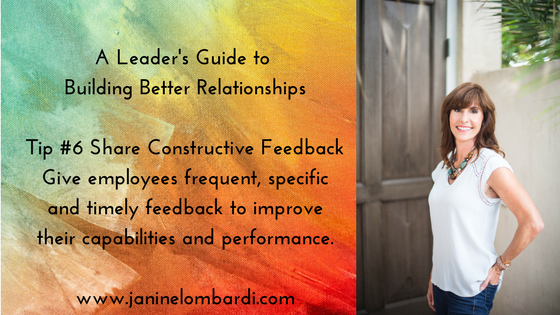 Concept: Leaders help their teams perform better together. 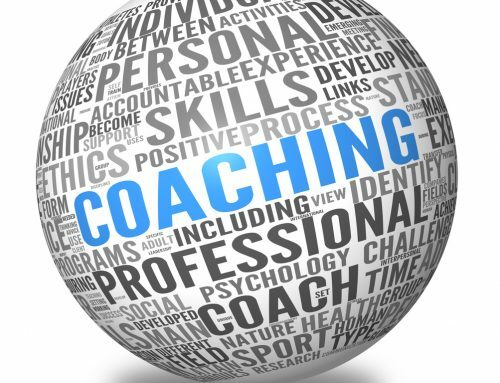 To achieve high ­performance, focused time should be given to developing the relationships within the team which builds trust. Ask Yourself: Do the members of our team know each other well? 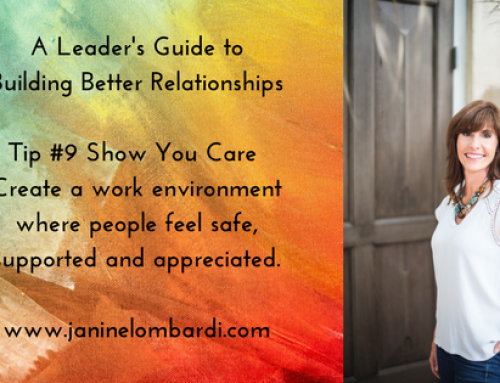 How have I encouraged relationship building among team members? Take Action: Write the agenda for your next team meeting and start the meeting with a fun question that will help team members learn more about the interests, personality and traits of each other. i.e. What magazine cover would you like to be on and why? Reflect: What other ways could I nurture relationship building among team members? 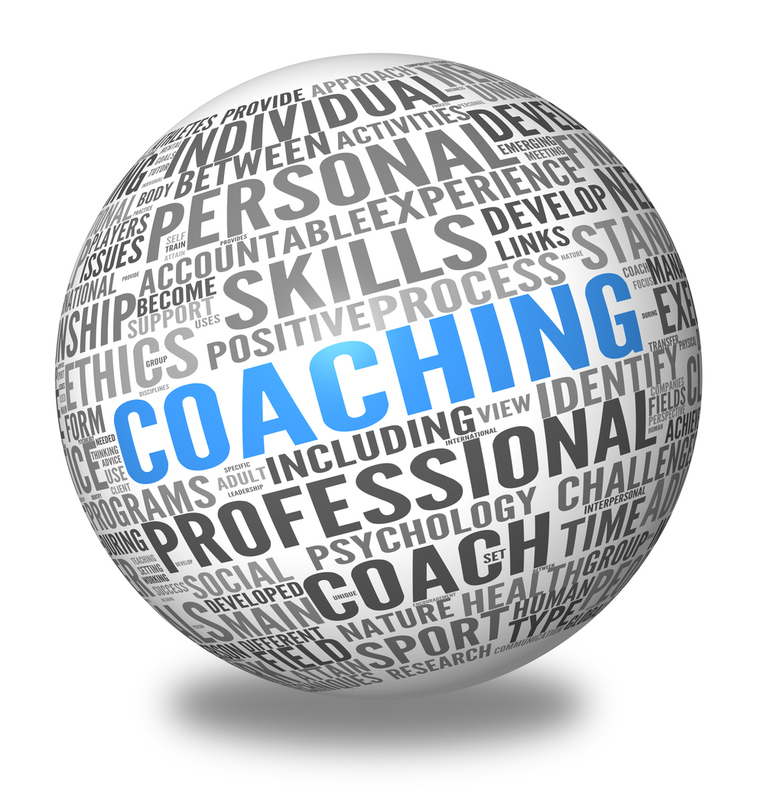 Next: Once the meeting is conducted, ask: How did the group respond to the activity? What was the energy in the room? What did I learn about members of the team? Continue to start future team meetings in this way. 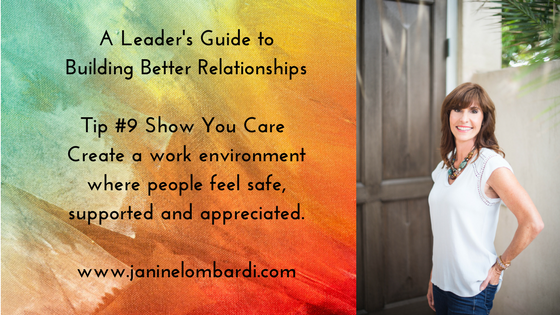 Fostering psychological safety, which is critical to making a team work, should be one of your top priorities as a leader. The safer team members feel with one another, the more likely they are to admit mistakes, to partner and take on new roles which increases their effectiveness as a team. 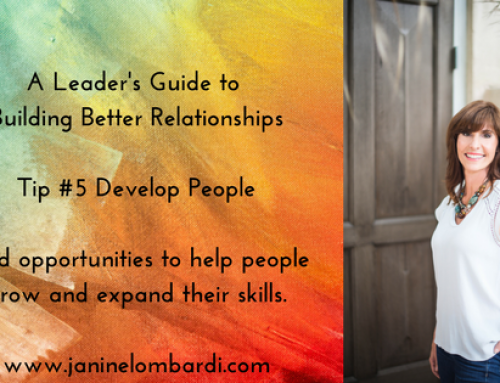 Committing to developing your team members and developing strong, healthy relationships will lead to higher performance. Thank you for coming along for this ride. 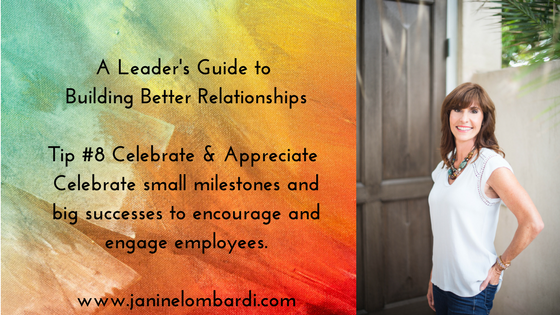 I hope to see you next week when we uncover the importance of celebration and appreciation to strengthen relationships and engagement.